TRACK READY, STREET SMART The R6 is designed to do one thing extremely well: get around a race track in minimal time. It’s about a screaming, 15,000-rpm-plus fuel-injected four-cylinder engine in a taut chassis that lets it snap from upright to full lean instantly. Oh yeah: It’s a great street bike too. Multifunction digital and analog instrumentation features: programmable shift light, digital speedometer, analog tachometer, dual tripmeters with miles-on-reserve function, odometer, water temp gauge and lights for neutral, high beam, low fuel and turn signals. Compact, lightweight 67mm x 42.5 mm, 599 cc DOHC 16-valve, liquid-cooled titanium-valved four-cylinder has a compression ratio of 13.1:1, for great response. Domed pistons with valve cutouts produce a compact combustion chamber. Fuel injection mapping for the YCC-T™—Yamaha Chip Controlled Throttle dual-injector system complements the high compression ratio for great throttle response and reduced engine braking. 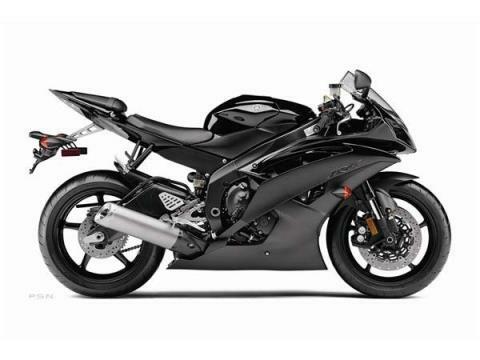 The 2010 Daytona 200 winner is back and ready for the street or track. 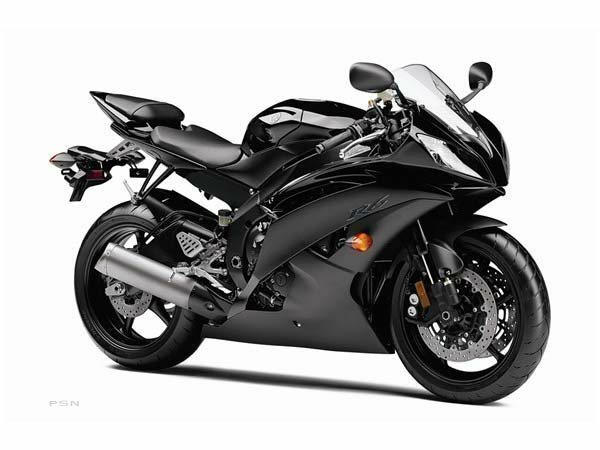 Light, powerful, and bristling with knowledge gained from years of racing, the YZF-R6 is the most advanced production 600 cc motorcycle Yamaha, or anybody else, has ever built. 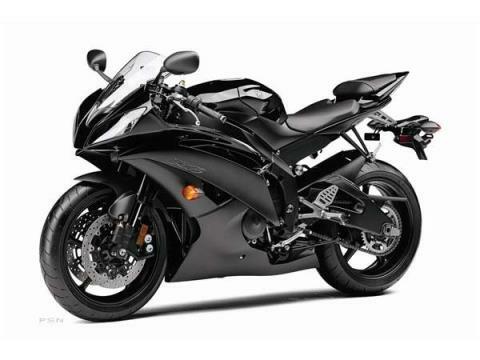 The YZF-R6 was the first production motorcycle with a fly-by-wire throttle system for flawless response under all conditions. 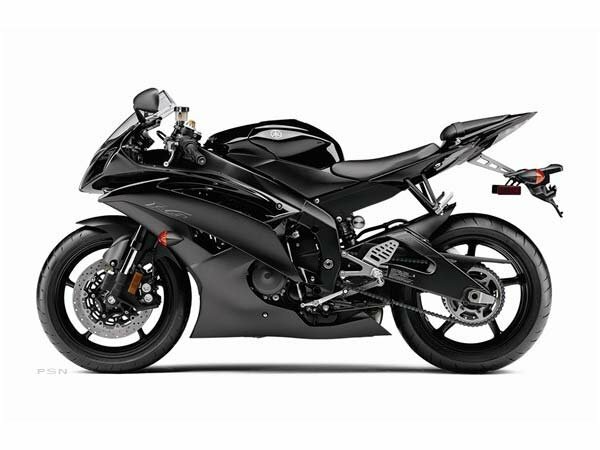 YCC-I®, Yamaha Chip Controlled Intake, is used on the R6 to vary intake tract length for excellent cylinder filling and a broader powerband. On the higher-revving R6, its benefits are even more pronounced. Back torque-limiting slipper-type clutch greatly facilitates braking/downshifting from high speed. Close-ratio 6-speed transmission delivers seamless power and maximum acceleration.